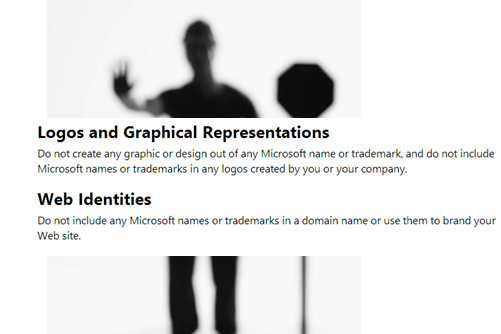 Very detailed post about the trademark policies that were not enforced but will stand to have a huge impact on how SharePoint community thought leaders approach naming their brands both from a personal and blogging standpoint. Having SharePoint in a domain name is great for SEO but for many SharePoint professionals, it provided an identity and sense of dedication to the platform. I hope this situation is sorted out as best as possible. Thanks Shadeed. I hope Microsoft legal will revisit the difference between the community usage of the term SharePoint and those things that might harm the brand. It really has become a household brand. What if google started telling people to stop using google as a verb? Wouldn’t that be counter intuitive? It reminds me of the cost for singing “happy birthday.” I think that’s going overboard. Someone has to make money every time someone sings happy birthday? Really? What if Coke went after people that were using Coke to mean do you want a drink? I think sometimes the brand police simply need to back off and allow the term to take on a life of it’s own especially within the community. “You stay classy Microsoft….” The Redmond PR department might have to do a bit of work this Christmas. Yes it is a brand and a trademark but ithe community has driven SP over the years and Microsoft has benefited from that as well. I think it’s called a relationship. All seems rather strange to me. I strongly believe the community played (play) a significant role in the success of the platform. Without blogs, public forums and events, SharePoint wouldn’t have gained the traction it did over the past few years. This feels unfortunate, unnecessary and, frankly, ungrateful. Wow. Nice domain. Let me know how that one goes. Keep in touch. It is good to know, and I’m glad I haven’t been found guilty of anything. Still, is SharePoint Saturday an improper use of the word? That concerns me and would really be against Microsoft’s bottom line to become bad actors in the proselytizing of one of their top money makers. I agree it would be great to see more clarification. Things like SharePoint Fest, SharePoint Pro Magazine, SharePoint User Groups around the globe and yes many a SharePoint Saturday, now renamed SPSEvents. I don’t think we’ve heard the last of this since there are many who still care very much about the use of the brand… I applaud them for not cracking down when they obviously could. I hope Microsoft would understand that they are doing a big mistake to their product first then to the community. … I have never seen someone using SharePoint logo in a bad way or something at all. At least they should notify us first, if we didn’t listen then they can warn about closing the page but not closing it suddenly !! Mai, the update is Microsoft is backing off in Bjorn’s case, and isn’t cracking down. So that’s good news for all. It is still important we know what the “rules” are around use of the term SharePoint and use of the logo. I’m hoping that Microsoft will also use this as an opportunity to build a “SharePoint, Office and Yammer” logo that doesn’t have the same restrictions for community use… would be great for infographics and such… just have rules that say how to use it in social media and for user groups.